Could Facebook Cannibalize the Future of Blockchain? Facebook had encountered a crucial reorganization this May, which resulted in the formation of a small team filled by talents dedicated to exploring blockchain. The team consists of less than a dozen people, each bringing with them illustrious careers and backgrounds. David Marcus, former head of Messenger (Messenger Platform Team) and PayPal (PayPal Engineering), was appointed to lead the team with help from two Instagram(Instagram Engineering) executives, James Everingham and Kevin Weil. If we look at the background of these team members, we may get a sense of what Facebook (Facebook Research) is planning. Marcus, as an expert in online payment, was on the Board of Directors for Coinbase (Coinbase), later resigned to avoid a conflict of interest. His action might imply the possible attempt of Facebook to participate in cryptocurrency and micropayments using blockchain. On the other hand, Everingham and Weil, both crucial in helping defend Facebook (Facebook Design) from the threat of Snapchat, are professionals in coming up with technological strategies that lead the market. With around 2.2 billion monthly active users, Facebook provides a seamless user experience to its customers. Due to the centralized power Facebook had over its users, the company was able to use user data for targeted advertising, which became the premise of the Cambridge Analytica data security scandal. As the notion of decentralization is discussed with the use of blockchain technology, a number of blockchain startups are planning to disrupt the tech giants with better user data protection. With its incorruptible composition and decentralized digital ledger, blockchain has become the beacon of accountability and transparency. By implementing blockchain technology in the future, or at least being prepared for it, Facebook could free itself from the scandals of data breaches and decrease users’ concerns about its transparency and privacy. It would even give users control over their own information and data. Additionally, Facebook might be looking for more app developers to launch their new products on its developer platform. By using tokens as a reward, the company could provide higher incentives to these coders who would be able to get rewards at the point of launch. Lastly, in response to the trend of Big Tech, Facebook wants to stay competitive by monitoring a number of blockchain-based social media platforms. Facebook is most likely looking to lead the next generation of social media platforms supported by blockchain technology that offers users more control over their data and opportunities to be rewarded for sharing their data. 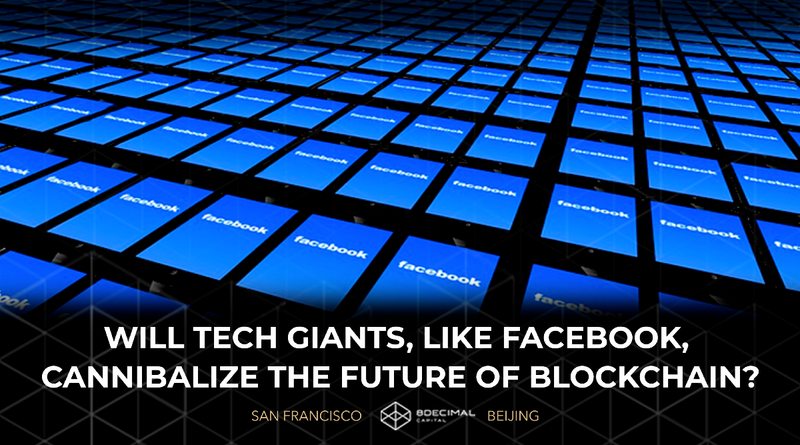 Although David Marcus stated that Facebook “is starting from scratch” in implementing blockchain, commentators have already predicted the possible steps Facebook would approach. Facebook will likely create its own cryptocurrency in order to create incentives for e-commerce and rewards for services and content creators. They have already launched a virtual currency, Facebook Stars, to give back tips to content creators. Other than implementing new payment methods into their current system, there are other products that Facebook might develop. Examples could include banking apps, exchanges, or a data management system, all the while managing the login layer to access these capabilities at the same time. However, there is no doubt that the adoption this time will be tough. If Facebook fully applied blockchain technology, it would lose its most valuable business model of collecting user data to target advertising. The shift will likely happen slowly while the company will need to make sure that its users will accept and follow this new direction. As reported by Bloomberg a few days ago, Facebook is developing a cryptocurrency transfer application targeting the remittances market and will be integrated into WhatsApp. A stablecoin that can avoid huge price swings will be developed for this project. Facebook chose to launch this application first in India, which has the highest volume of cash remittances from abroad. Cash remittances were around $69 million in 2017 in India while the country also has over 200 million existing WhatsApp users. Once the project is approved, WhatsApp can become a leading money transfer platform in India. Chris Daniels, the CEO of WhatsApp, was reported sending a request letter to the Reserve Bank of India (RBI) in November asking to extend payment services to WhatsApp users in India. Before official implementation, Facebook will need the approval of a Bharat Interface for Money (BHIM) Unified Payments Interface (UPI) and meet the regulatory requirements from the National Payments Corporation of India (NPCI). It was reported that the company has started to carry out the RBI’s recommendations, including requirements for data storage that offer the RBI access to payments information, in response to the Cambridge Analytica scandal. The benefits of applying a cryptocurrency remittance feature are prominent. The new feature will significantly reduce transaction costs and speed up the money transfer process, especially for global transfers. As Facebook has stepped into the blockchain space, it is likely to gain steam in the industry and lead trends due to its vast user base. 8 Decimal sees Facebook’s involvement as a great opportunity to invest in social media related blockchain projects. We are actively looking for possible acquisitions from Facebook as a pivot for future investments. However, we also see Facebook’s involvement as a potential threat to the industry. With billions of users across the globe, Facebook has the ability to cannibalize many sectors of the blockchain industry. Tech giants, like Facebook and Google (Google Developers), entering the blockchain space would catalyze adoption of the new technology, but this could also centralize the control of this industry.